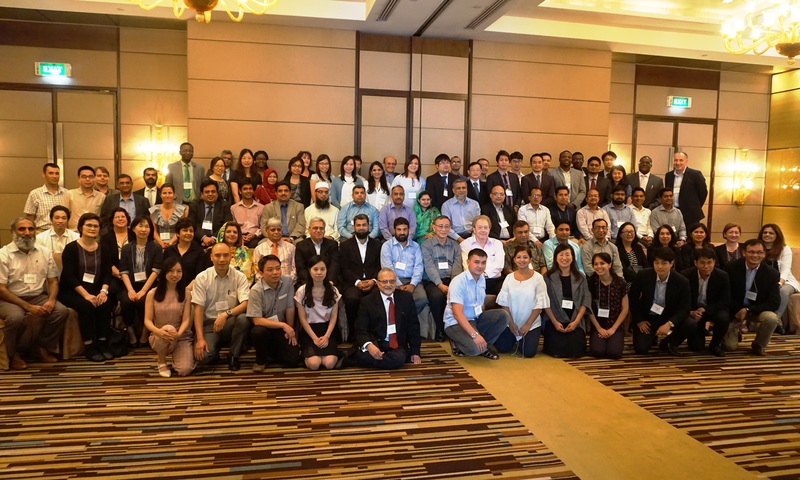 Almost 90 representatives from medicines regulatory authorities (MRAs), manufacturers, national tuberculosis (TB) programs (NTPs), and other key stakeholders gathered in Bangkok from July 25-27, 2017 to learn how they could individually and collectively help increase the supply of quality-assured TB and neglected tropical disease (NTD) medicines. Organized by the Promoting the Quality of Medicines (PQM) program, funded by USAID and implemented by USP, the workshop drew participants from 17 countries, including representation from nine MRAs and 34 manufacturing companies from 14 countries. During the first day, presenters from the World Health Organization (WHO), Global Drug Facility (GDF), and PQM offered insights about the global burden of TB and NTDs, as well as the activities organizations perform to meet international medicines quality standards that help protect patients and bring priority treatments to market. Topics ranged from logistics (e.g., the tender process) to prequalification (PQ) and expert review panel (ERPs) reviews, as well as how PQM provides technical assistance to achieve these goals. Sessions offered important details not only about how these programs work, but about why medicines regulators can feel more confident in products that achieve PQ and ERP status and how these achievements can benefit manufacturers. The agenda for day-two gave presenters and participants an opportunity to explore efficiency and enhancement processes that also help ensure the quality of TB and NTD medicines. Employing good manufacturing practices, for instance, helps manufacturers produce quality-assured medicines using internationally accepted standards. Likewise, risk assessment and cleaning validation help identify where threats to quality production is greatest so manufacturers can expend resources most effectively. The Common Technical Document and collaborative registration procedure streamline the application process for manufacturers seeking to register and market medicines in new areas. The event ended with a meeting between representatives from MRAs, NTPs, and PQM, during which discussion focused on identifying the challenges of registering quality-assured TB medicines in different countries and some possible solutions, including engaging PQM’s technical expertise and extensive experience. PQM also held one-on-one meetings with manufacturers interested in receiving PQM’s technical assistance to discuss their product pipeline, facility and dossier status, and where assistance is needed. Based on discussions throughout the workshop and this post-workshop meeting, activities will now concentrate on prioritizing the solutions discussed and determining how best to implement them. PQM looks forward to shepherding this effort and offering its services to help increase supply of quality-assured TB and NTD medicines. What is DI? What is the relationship between risk management and DI?